It is very closely allied to B. racemosus and easily confused with it; indeed, Stace (1997) suggests it might be better treated as a subspecies of that species. Similar to Soft-brome but taller (30 to 90 cm). 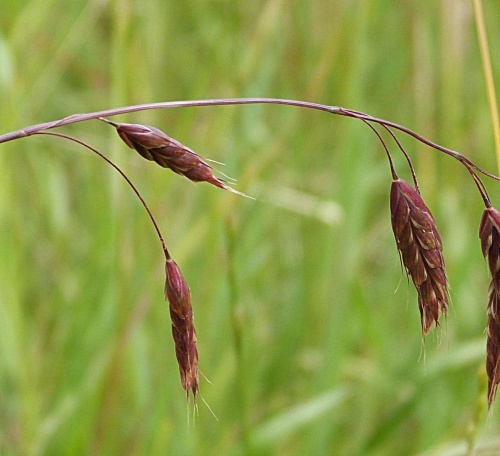 The panicle is also looser, 7 to 20 cm long, with a more spreading and drooping habit, and with many long (to 7 cm) branches. 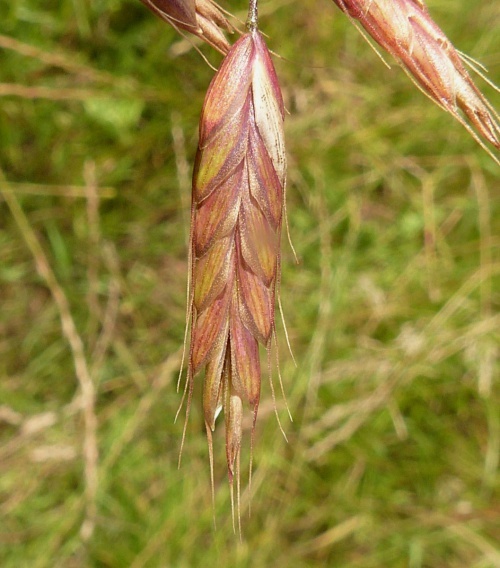 Spikelets 18 to 20 mm long, oblong with a veined appearance. Unimproved damp meadows, also found on road verges and the borders of fields and tracks. Many recent records are of casual occurrences arising from grass-seed impurities. 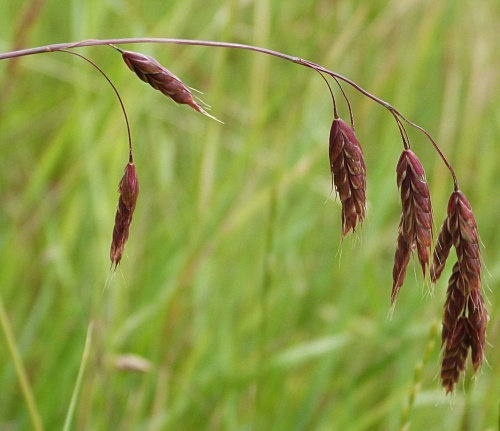 Widespread in England, though even here it is not particularly common, more restricted to coastal areas in Scotland and Wales. Infrequent but possibly increasing in Leicestershire and Rutland. In the 1979 Flora survey of Leicestershire it was found in 2 of the 617 tetrads.